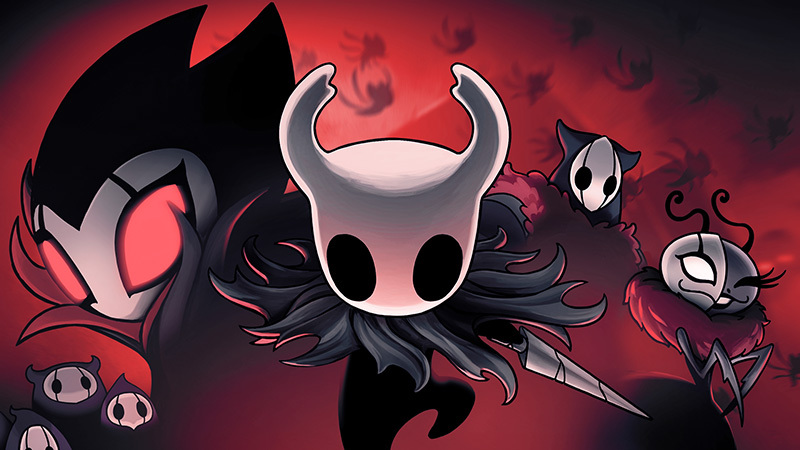 Hollow Knight, the surprise indie hit of 2017 that successfully wove together a Metroid styled world and a Dark Souls like atmosphere and tone, has received its third major content update. This Halloween, Grimm and his Troupe arrive in this free update for all owners of Hollow Knight. Players can light the Nightmare Lantern to summon the Grimm Troupe to Hallownest. This can be done at any point during the main story, so don’t worry if you’re not too far into the game. The Grimm Troupe is shrouded in mystery and only by taking part in their strange ritual will you find answers! But do not fear – you will gain a new ally to accompany you on this spooky new quest. A new quest means new bosses, of course! New foes have arrived and await your arrival. These ancient spectres have come to Hallownest for some reason, and you must find the truth. To aid you in your battles against the new bosses, four new charms have been added into the game. Don’t forget about the little guys, too! New normal enemies have arrived, but they’re just as clever as the bosses. Don’t underestimate them! With new areas, new music, and a bunch of new creatures to fight, The Grimm Troupe update is quite the package. To help you on this winding journey, map markers have been added into the game. You’ll be able to put down custom markers on your map to remind yourself of points of interest. Handy! In technical news, the GOG Galaxy version of the game will receive full Galaxy support. This means that Hollow Knight will now support Galaxy cloud saves, achievements, and more. Check out The Grimm Troupe update when it drops this Halloween.